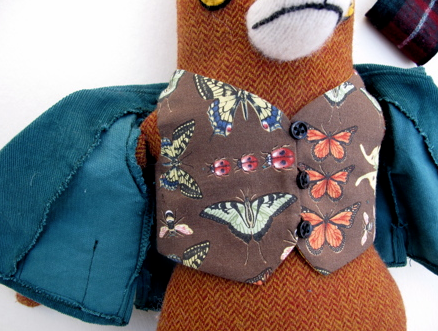 CURIOUS LITTLE BIRD: Little Dolls Are Taking Over! Little Dolls Are Taking Over! 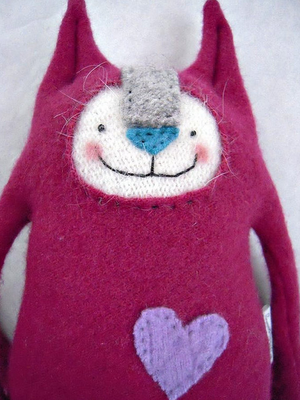 There are so many dolls and plushies that I love on Etsy, and I've decided to dedicate today's blog to talking about them! 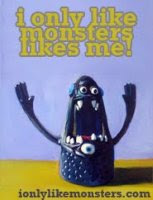 They inspire me to strive to create new monster collections, because they're just so awesome. 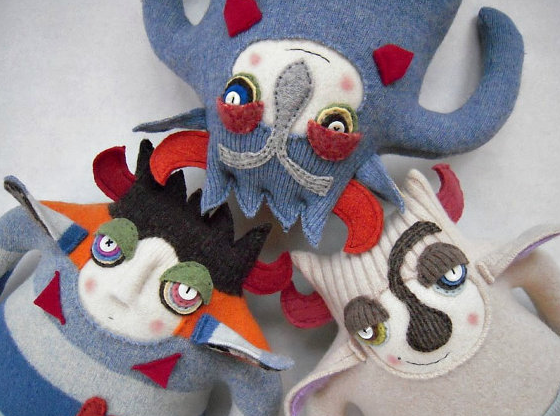 So let's get right down to it, and check these awesome dolls out! 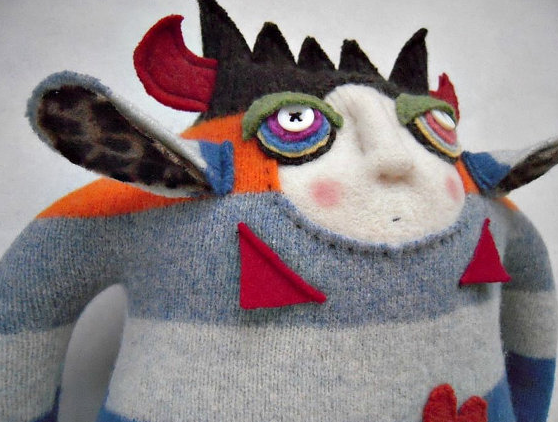 First off, we have The Art and Craft of Mimi Kirchner. 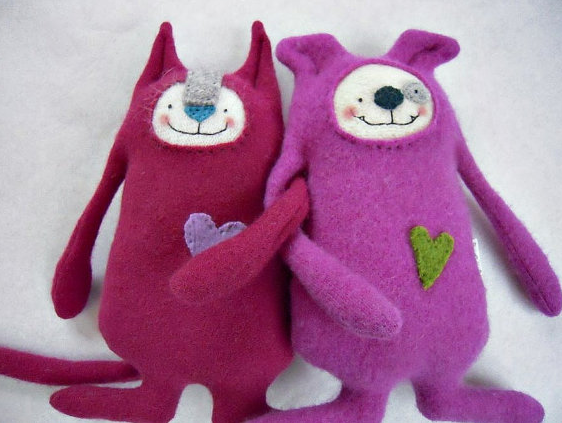 She makes these exquisite dolls with the loveliest details! I took a gander at her website and she averages about 110 dolls a year, which works out to about 3 days work per doll, and her prices reflect this amazing work. 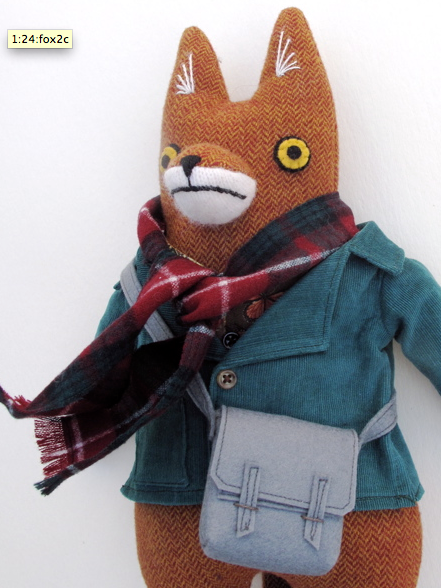 Everything on this fox is hand made, even the shoulder bag! It's so awesome. 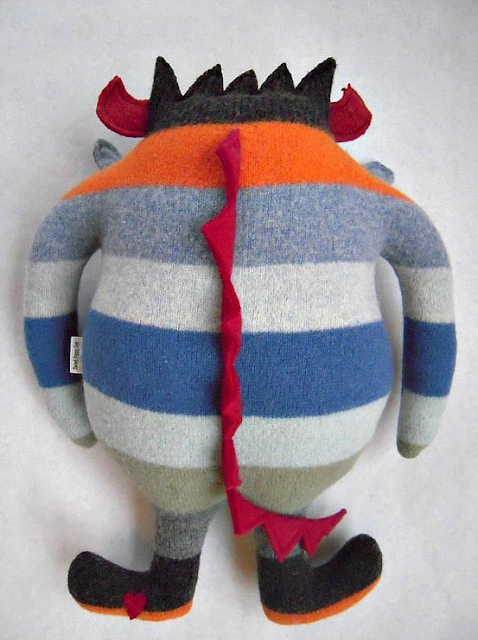 This exact one isn't for sale on Etsy, but there's a similar one, with a different jacket. He goes for $150. I also really enjoy Mimi's Tattooed Man. 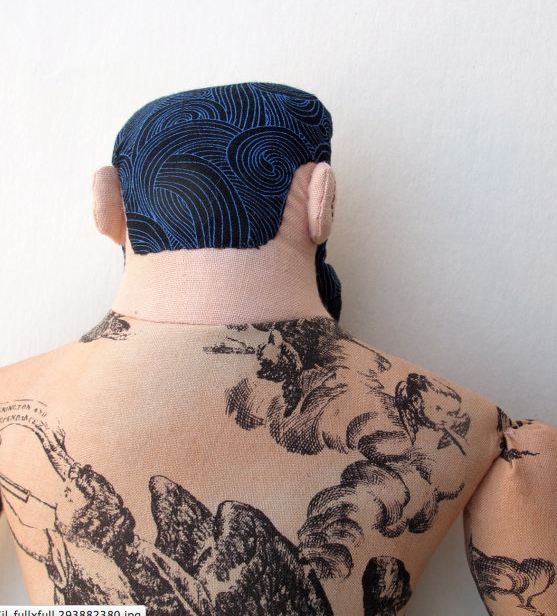 The body is made from over-dyed toile fabric that she over dyed to make it look like tattooed skin. 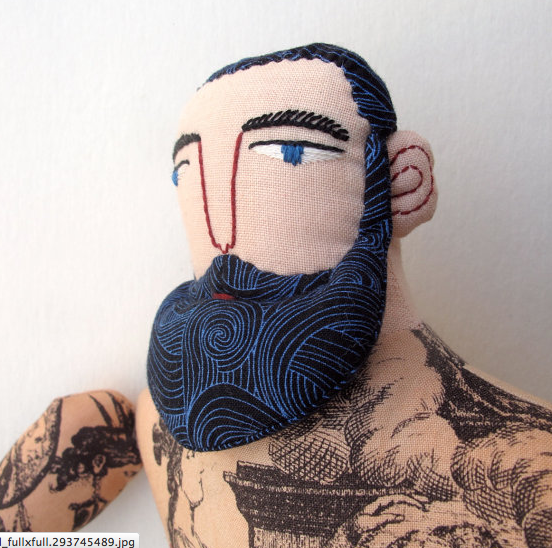 The beard is hand stitched, and the details on the face are hand embroidered. Just lovely. 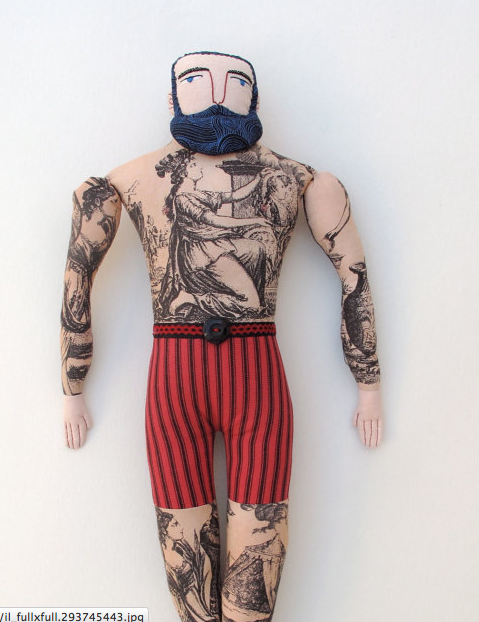 This tattooed man IS available to purchase on Etsy, and is $250. I'm imagining the amount of work that goes into dyeing a piece of fabric, and hand stitching alone is a job in itself. Next we have a small artisan who lives out in Portland, Oregon. 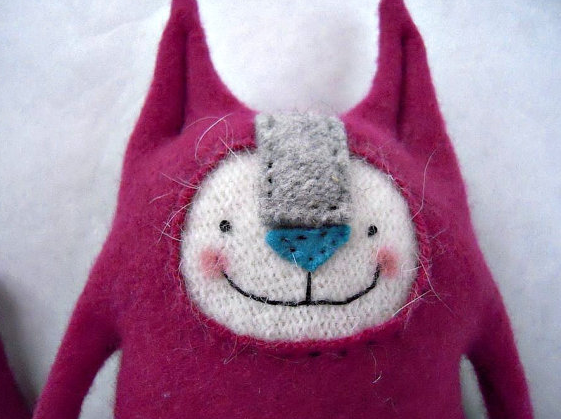 She makes these cute plush cats and dogs out of felted, upcycled sweaters. I bought the one I'm about to show you for my Christmas gift, and when I got her, I was so excited I brought her everywhere to show everyone! She's even got little furries on her face. She's a very happy plush cat. The shop is Sweet Poppy Cat. 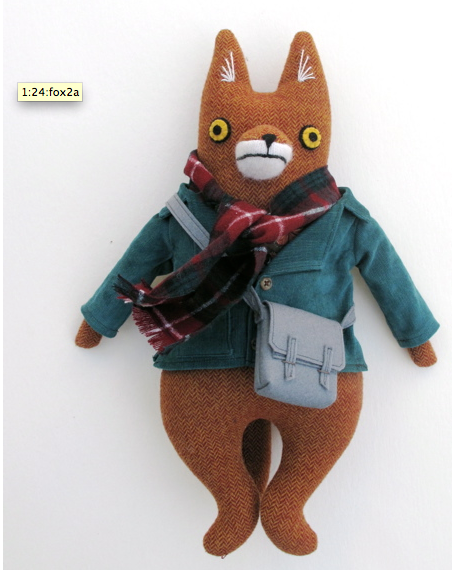 A plush cat like this ranges between $26 and $30. Oh what a lovely collection of plushes/dolls :-) That tattooed man is AMAZING! !